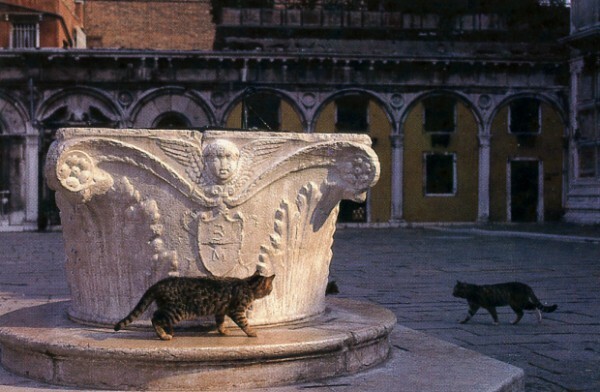 Venice, the city of water, is also a city of cats. 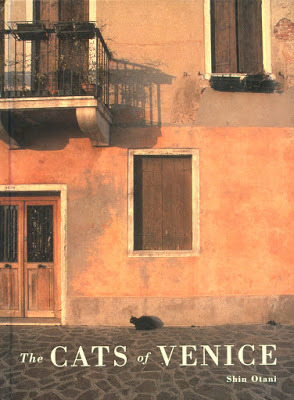 In the watery world of gondolas and bridges, cats and people live together comfortably. No cars disturb the peace or threaten the inhabitants. Crossing the two-and-a-half mile bridge from Mestre on the mainland, you arrive at Piazzale Roma, west of the train station. From this point, you have only two travel choices: to go by boat or on foot. 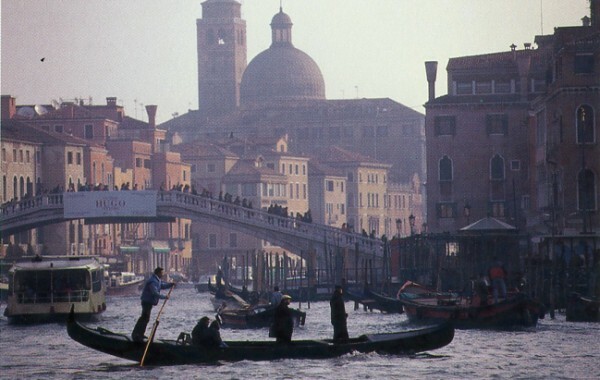 The only vehicles seen in Venice are carts silently rolling across an arched bridge or rumbling down a path between busy streets. Children on bicycles fitted with training wheels unsteadily circle the plazas, as mothers push baby carriages and watch over the bicycling children. 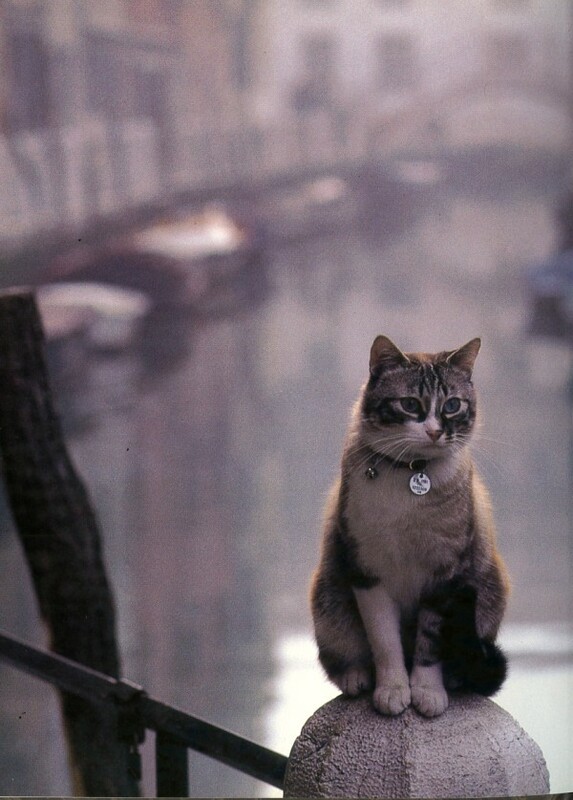 The Venetians are tolerant of cats. 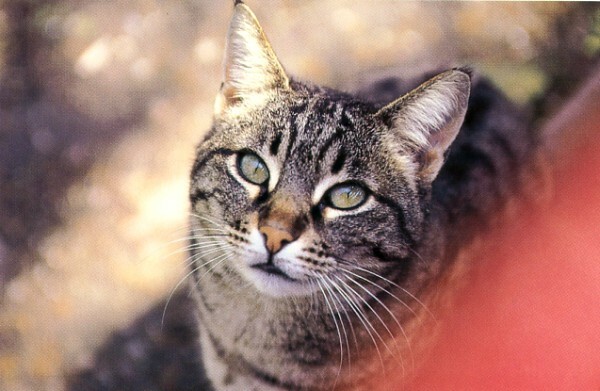 In fact, the cats of Venice are cherished, fed, and watched over by people who appreciate the serenity and self-sufficiency of cats. Once, when I was strolling down a passage, the bony remains of a fish suddenly fell from a high window right down next to a cat. This act of serendipity did not surprise me--it was in keeping with the mystery of the city. 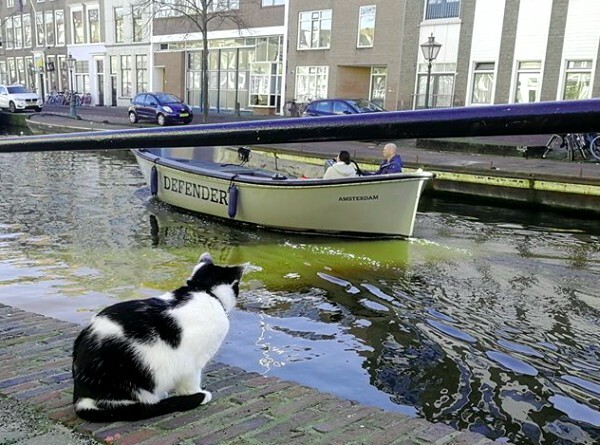 Just like Amsterdam, Leiden in the Netherlands features a large number of small canals. It's mainly known as a university city and is one of Europe's most prominent scientific research centers. This gives Leiden a bustling and international feel. Many famous people live or have lived there, including Carice van Houten (Melisandre in Game of Thrones), Albert Einstein, and Rembrandt. 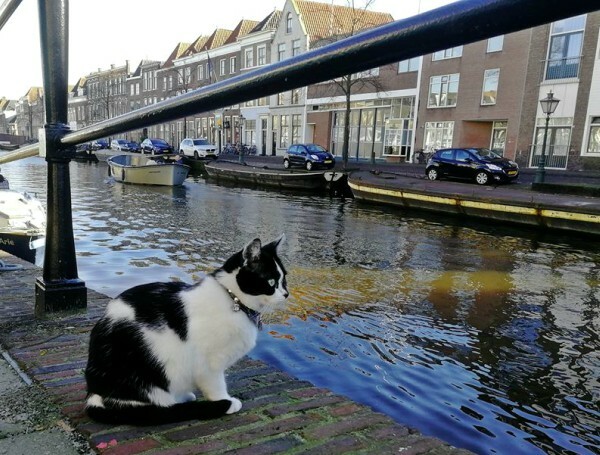 However, Leiden's most discussed inhabitant is... a cat. 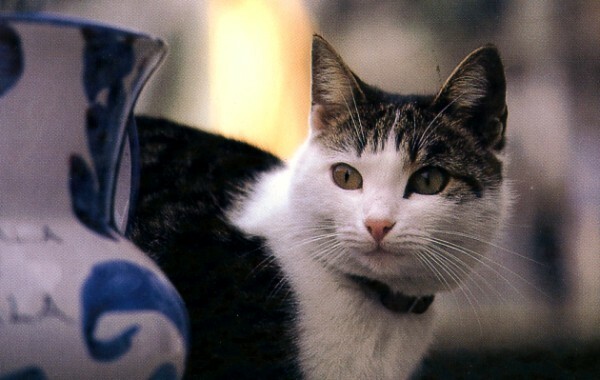 Jacco aka Buurtpoes Bledder was the adopted pet of one of the residents of a student house in Leiden. 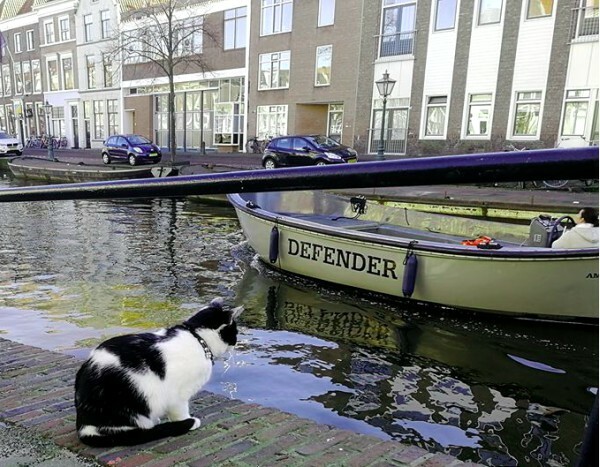 As soon as he was allowed outside, he started roaming the neighborhood around the Nieuwe Rijn, looking for company. 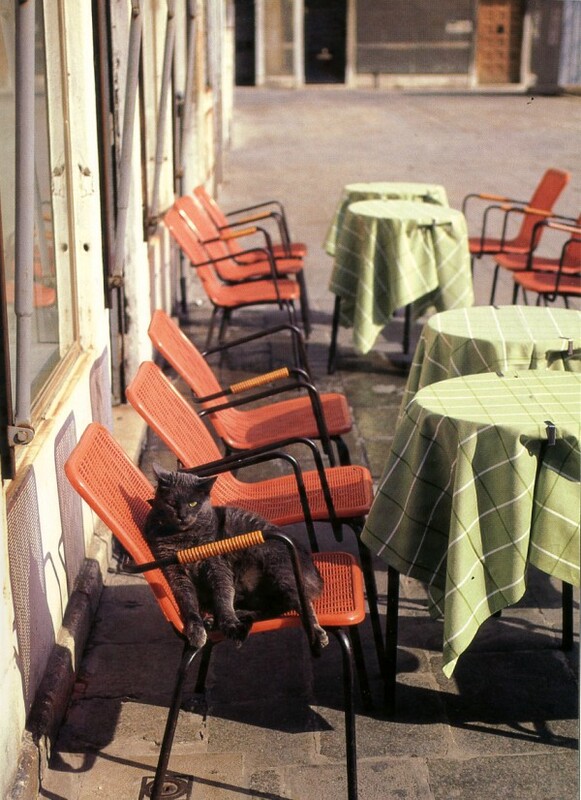 He particularly loved the cafés, shops, bars and offices in the historic central district. Many of the managers and customers started posting his adventures on Facebook, and that's how he became a local celebrity.